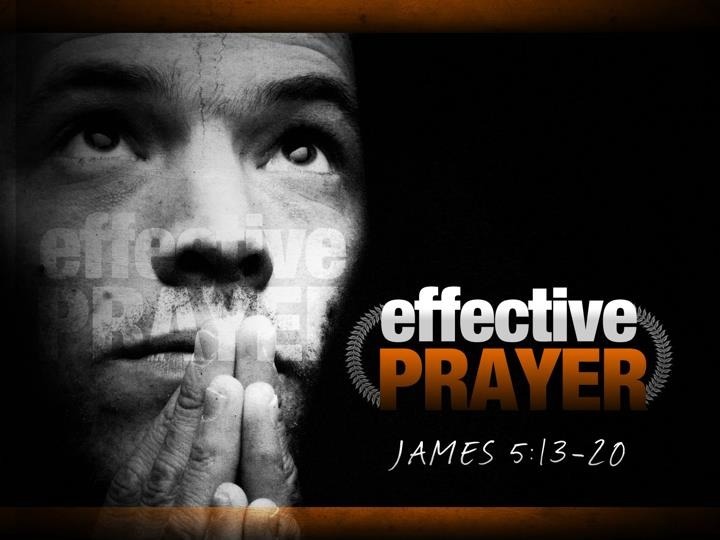 Effective Prayer (James 5:13–20) | Joe Quatrone, Jr.
As God’s people go through life, they often must endure difficult circumstances that are not the result of sin or the chastening of God. Suffering should elicit prayer. The greatest assistance any believer can offer another is faithful prayer. Prayer is clear evidence of care. Prayer is the “hotline” to the One who can provide for any need no matter how complex or impossible it may seem. To share in prayer, a believer must have sensitivity to someone’s needs, engage in diligent supplication for those needs, and recognize the significance of those needs. What should we do when we find ourselves in such trying circumstances? We must not grumble and criticize those who are having an easier time of it; nor should we blame the Lord. We should pray, asking God for the wisdom we need to understand the situation and use it to His glory. Prayer can remove affliction, if that is God’s will, but prayer can also give us the grace we need to endure troubles and use them to accomplish God’s perfect will (Read: Turning Trials into Triumphs). A great deal of misunderstanding has resulted from these verses. Some teach that full physical health is always just a prayer away, but James was not giving a blanket formula for healing the sick in these verses. Many physically ill Christians have called on elders to pray for them and to anoint them with oil, but a sizable percentage of them have remained sick. This fact suggests the passage may have been mistakenly understood as physical restoration rather than spiritual restoration. Those who claim God heals every case, and it is not His will for His children to be sick are denying both Scripture and experience. But where we have the inner conviction from the Word and the Spirit that it is God’s will to heal, then we can pray “the prayer of faith” and expect God to work (Read: My Testimony). The conclusion is clear: “therefore confess your sins to each other and pray for each other.” A mutual concern for one another is the way to combat discouragement and downfall. The cure is in personal confession and prayerful concern. The healing is not bodily healing, but healing of the soul. When wicked King Ahab and Queen Jezebel led Israel away from the Lord and into the worship of Baal, God punished the nation by holding back the rain they needed (1 Kings 17–18). For three and one half years the earth was dry and unable to produce the crops so necessary for life. Then Elijah challenged the priests of Baal on Mt. Carmel. All day long the priests cried out to their god, but no answer came. Elijah prayed once and fire came from heaven to consume the sacrifice. He had proven Jehovah is the true God. But the nation still needed rain. Elijah went to the top of Mt. Carmel and fell down before the Lord in prayer. “He prayed earnestly [persistently].” He continued to pray for rain until his servant reported “a cloud the size of a man’s hand.” There was a great rain and the nation was saved. Too many times, we fail to get what God promises because we stop praying. It is true we are not heard “for our much praying” (Matt. 6:7); but there is a difference between vain repetitions and true believing persistence in prayer. Elijah prayed for his nation and God answered his prayer. We need to pray for our nation today, that God will bring conviction and revival, and “showers of blessing” will come to the land. These verses deal with our ministry to a fellow believer who wanders from the truth and gets into sin. Those who have lost their way are the “sick ones” in the church family. To wander suggests a gradual moving away from the will of God. The Old Testament term for this is “backsliding.” Sad to say, we see this tragedy occurring in our churches regularly. Sometimes a brother is “overtaken in a fault” (Gal. 6:1); but usually the sin is the result of slow, gradual spiritual decline. Believers have a responsibility to fellow-believers who stray. The wandering one needs to be turned back to the Lord and brought back to the fold. A wandering believer cannot move ahead again on the path toward spiritual maturity until he or she is restored. James urges fellow-believers to get in their way, head them off, and turn them back. The rescue action is of great significance! Many of us must admit when we see a Christian straying, we have a tendency to excuse ourselves from responsibility by saying, “It’s none of my business.” Or we think our responsibility begins and ends with praying for the backslidden. But James instructs us to lovingly confront them with their straying and tenderly call them back to the Lord. If we are going to help a wandering brother or sister, we must have an attitude of love, for “love will cover over a multitude of sins” (1 Peter 4:8). This does not mean love “sweeps the dirt under the carpet.” Where there is love, there must also be truth (“speaking the truth in love,” says Paul in Eph. 4:15); and where there is truth, there is honest confession of sin and cleansing from God. Love not only helps the offender to face his sins and deal with them, but love also assures the offender that those sins, once forgiven, are remembered no more. * This brings us to the end our series in James. I hope and pray you have enjoyed and benefitted from this study as much as I have. This entry was posted in Book of James and tagged Backsliding, Circumstances, Elijah, Faith, Healing, Love, Prayer, Sick, suffering. Bookmark the permalink. You’re welcome Pastor Joe! God bless you too! Thank you so much for the explanation on healing the sick. I never thought of it that way so I never understood. The Lord is still teaching me too. God bless! I am part of a prayer group. I send prayers to heal the sick. I was wondering if you had a special prayer for healing bodies of disease, illness and many things that befall the human body. I want to be able to help people understand that is Jesus who heals us, but feel comforted with prayer for them while they are sick. thank you Pastor Joe. You may try praying through Psalms with people, Rita. I will admit as I visit the sick, I do not always know how to pray for them. (Paul had the same problem; read Rom. 8:26.) Is it God’s will to heal? Is God planning to call His child home? I do not know; therefore, I must pray, “If it is Your will, heal Your child.” I appeal to the Lord as the Great Physician, knowing the results are in His hands. But our prayers are part of God’s healing process. That is why God often waits for our prayers before intervening to heal a person. Hope this helps. Wonderful .. thank you so much. I just sent a prayer for a 4 yr. old boy who is in the hospital with a fever and who h as diabetes.. It was a simple prayer for him and for his family ..which is very important.. to add the family.. that they join in the prayers too. God can if it be his will, heal the whole family, if need be.. thanks Pastor Joe. I kept missing this page.. not tonight..you message is timely!! Amen! Hmm . . . I have a better understanding of my friend who cares for a brother in Christ who is spiritually sick. Though she feels like a blur fellow to find out he has mental illness, she still cares. But another brother in Christ refuses to guide. I pray God would overwhelm us all with His grace, and we would grow in Him and bear much fruit. Praise God to see you blog through all the way the book of James. I appreciate this specific study on prayer! Thank you for the post on prayer. It was a great study for me too. God bless!